Living near Kingston as I do, it’s an easy run for me to New England and upstate New York. 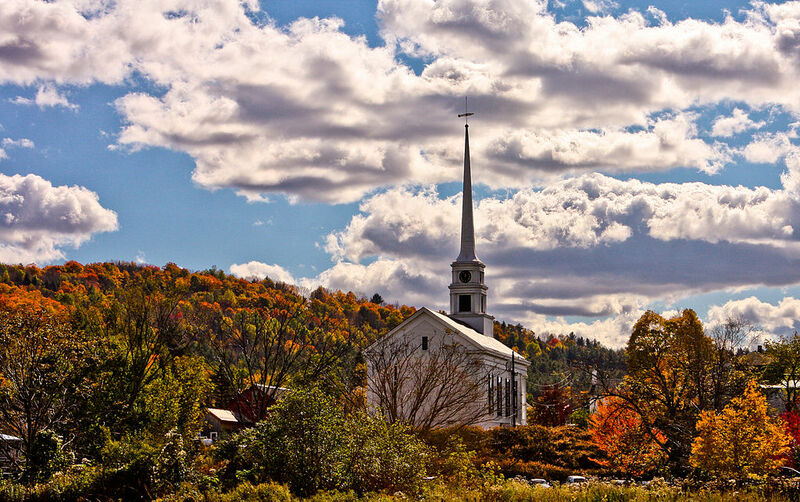 I’ve spent many vacations with my wife and various riding friends over the years in Vermont and New Hampshire, with some, albeit much less, time also in Connecticut, Massachusetts and Rhode Island. Maine is the only state I don’t know at all. It’s an unusual year when I don’t get down into the area for at least a few days. Having said that, I was surprised at much there was new to me in Ken Aiken’s fourth edition of Motorcycle Journeys Through New England, published by Whitehorse Press. The book is organized by state, with suggested loops to ride in each one, a total of 28 in all. By no means is this an exhaustive description of fun roads and places, but it’s an excellent start for anyone new to the area or looking for a route they haven’t seen before. Generally speaking, that whole area is part of the Appalachian Mountain chain so the terrain features superb mountain scenery and dramatic twisting roads no matter where you go. Being one of the earliest settled areas of the U.S., there’s lots of history and interesting things to see and do as well. Plus, from my own travels down there over the last three decades or more I’d say you’d have to try pretty hard to have a bad lodging or eating experience. 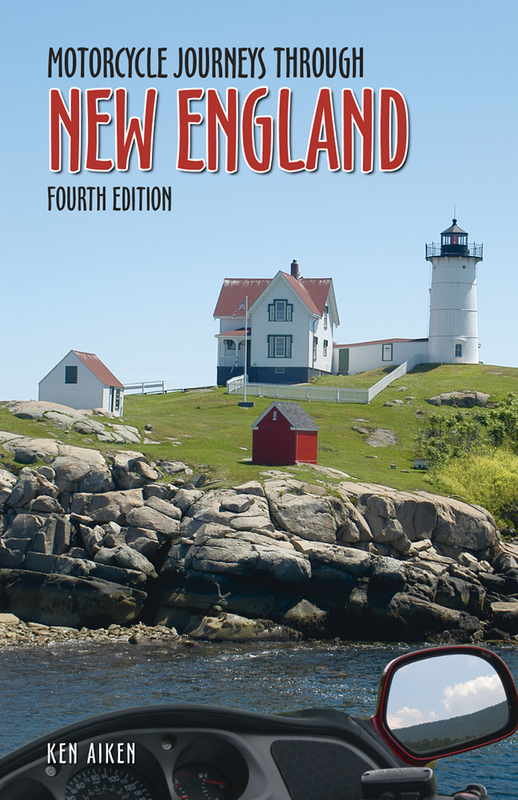 Whitehorse Press has published the fourth edition of their New England book. I’ve been down there when my only intention was to ride as many roads as possible. I’ve also been there when the pace was leisurely and the object was to take in some interesting attractions and natural sites. Either way is a fine way to visit, and this book nicely accommodates either approach. The book is lavishly illustrated in full colour, with many maps that include point-by-point directions plus suggestions for motorcycle-friendly services, memorable lodging and dining, and points of interest that will take you off the beaten path. A big bonus is that he’s a lifelong resident of the area, and he taps into his interests in history, architecture, geology, and industry to offer up fascinating tidbits of local detail, adding colour and context to your ride. It’s not cheap, but at less than $30 I think it’s a bargain. One of the best motorcycle tour books around. By Ken Aiken, Published by Whitehorse Press, softbound, illustrated, 352 pp, $27.95 U.S.